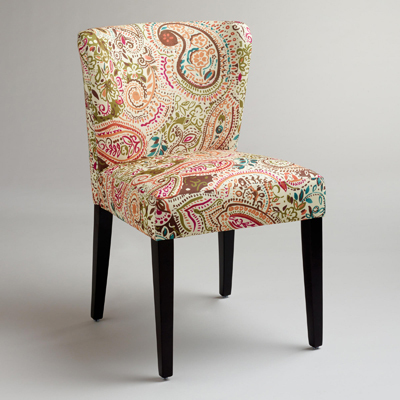 A true show-stopper with versatile style, the Paisley Chloe Dining Chair suits a range of decor. Constructed of birchwood with cotton-blend upholstery in printed paisley, its slight wingback silhouette draws upon retro design while the matte pewter-finished nailhead trim adds a contemporary touch. Set of 2. $259.98. Buy here.